Therapy in Praxis Harrogate research and development facilities offer comprehensive evaluation and intervention programmes for children, adolescents and young people [up to age 25 years], with Autism and Autism Spectrum Conditions, Attention Deficit Hyperactivity Disorder [ADHD], Cerebral Palsy and Neurological Complexities, Dyspraxia, Motor Co-ordination and Motor-Learning Difficulties, Specific Sensory Integration Disorders and Sensory Processing Challenges, Sensory Attachment and Developmental Trauma. Therapy in Praxis have highly skilled and experienced practitioners in a range of therapy approaches for children and adolescents – a multidisciplinary service providing research facilities, occupational therapy, physiotherapy and speech and language therapy. Therapy in Praxis are specialists for children, adolescents and young people, [0 – 25 years] across a range of settings throughout the United Kingdom and on an international basis. 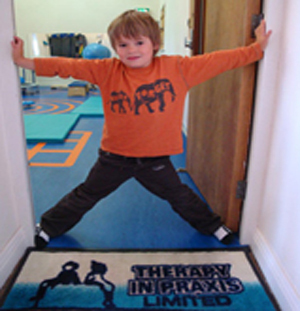 Therapy in Praxis have well equipped research facilities with professional training and sensory integration facilities. Therapy in Praxis has the knowledge and in-depth experience required to work with the young person and their primary caregivers to provide a creditable and quality service, by referral via individuals, local authorities and healthcare services on contractual or spot purchasing arrangements, through solicitors, case managers, insurance companies and other accredited agencies.